Professional Networking Services, LLC helps you to understand the Why, What and How of effective communication by learning strategies for: Efficient Networking, Dynamic Presentations, and understanding the body language not only of yourself but of your audience. Our clients are looking to become even more dynamic in their communication. Whether your a C-level Executive or young adult we have the instructional method to accomplish your goal through one-on-one or group training. Professional Networking Services, LLC has developed training tools that have helped clients become more efficient at understanding their audience’s comprehension of presented material. Clients range from Extroverts (who converse easily) to Introverts (who would rather be any where but in front of people). Professional Networking Services, LLC has the training method that will make your networking time more valuable and your presentations even more effective. Professional Networking Services, LLC works with clients to help alleviate the fears of public speaking and help seasoned speakers come out of their ruts– allowing them to Engage, Educate and Entertain. Training’s benefit clients by: helping to develop interviewing skills, applications of networking skills through personal and professional lines, presentation skills, development of elevator speeches, break down the perceived ideas of body language and how it can be misinterpreted, understanding how feet can drive a conversation, and understanding personality types and how they drive conversation- just to give you some examples. Client’s range from 13-80, Middle school to CEO/C Level executives and politicians. Not getting the results you want? Too many people passing your booth without out seeing your product or service? Learn how to engage potential customers by knowing what to say and what to look for in their body language cues. Whether you’re an old hat or rookie learn the who/what/why of elevator speeches. Learn the differences in 15/30/60 second speeches and how they benefit you. -not sure what you’re doing? You only get one chance for a great first impression! Learn tips and techniques of selling yourself in job interviews. Research has shown that those who can effectively read and interpret nonverbal communication, and manage how others perceive the, will enjoy greater success in life. Learn techniques of “reading” body language cues to understand if you’re message is being effectively communicated. 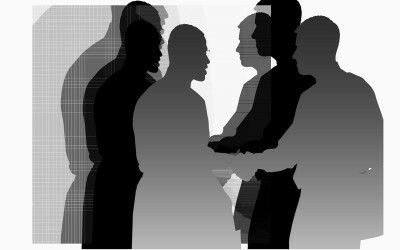 Need to attend networking events to get clients knocking on your door, but you don’t have the time? Or worse…networking terrifies you? We can speak for you! One of our professional networkers can attend the event (or events) for you as a representative of your company. Now you can finally have a voice in the business community! Have you been asked to speak at a seminar, conference or networking event? Does the thought of speaking in front of people make your palms sweat and your voice crackle? We can present for you, as a member of your organization, with a delivery that will make your company an audience favorite. Are you attending events, but need more of a presence? Would more “bodies in the room” help your efforts? We can create a team of networkers for your company that can take any event by storm! Imagine increase your networking efforts by 4 or 5 times! Need some help creating the perfect elevator speech? Or maybe you just need some pointers on how to get more out of your networking efforts. We can coach you, one-on-one (or with your team), and turn you into a networking machine! 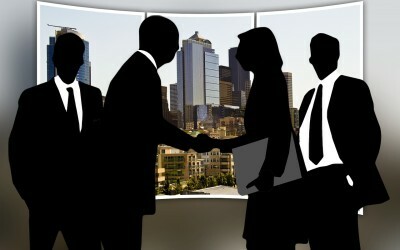 Why Is Networking Crucial To Your Business? Networks you create now can benefit your business and career your entire life. Networking is an ongoing process of relationship building that may result in a variety of business opportunities opening up for you. Creating networks can open up an entirely new world of referral business for your company! While many people use the internet to begin their search for business opportunities, most still enjoy the chance to meet someone face-to-face before giving them their business. I have had the pleasure of meeting Karen Milliner through her involvement with the Chamber of St. Matthews. From the moment we first sat down to talk, her passion and enthusiasm for educating professionals on the finer art of networking and her willingness to help develop their public speaking skills was clearly remarkable. I have never left a conversation with Karen without directly or indirectly acquiring a new communication skill that has enable me to better connect with our membership or has empowered me to facilitate new relationship between Chamber members. Karen has a unique willingness and an exceptional compassion to share her knowledge with others; and while she is a Professional Networker, Speaker, Coach and Body Language specialist, Karen often finds herself with many of her clients, as well as, prospects in a nonpaid consultant role as a direct result of her passion for her craft. Combined all of this with her prior experiences, she has a tremendous wealth of knowledge to help any businesses professionals become an immediate impact within their businesses network. If you are looking for someone to speak on your behalf, Karen’s the one you want! I have seen her speak. Her professional manor and detailed preparation make for a valuable combination. She brings her upbeat personality and passion for her subject to every presentation. Do you need to get your word out in the community? You want Karen to be your voice. I sought Karen’s services to help me put together a professional Power Point presentation and speech for a health talk I was giving to a group. Working with Karen was an absolute delight. She helped me clarify my message and say it in a the most direct and efficient way possible. She also helped with the delivery of my presentation. I was incredibly anxious to give this presentation because I do not enjoy public speaking. On my initial delivery during practice, I did not feel like it had gone well despite my attempts to prepare for it on my own, trying to memorize everything I wanted to say. I ended up forgetting things because I was so nervous. With Karen’s coaching and critique, I was able to discover how to deliver the speech naturally without worrying about memorizing my whole speech. She gave great advice on how to move my body and change my speech intonation. This not only helped me relax more, but it also helped me emphasize the most important aspects of my speech for a more successful delivery of my message. Every time I practiced my speech after working with Karen, I felt more comfortable ad-libing. I felt like I was just having a conversation versus giving a memorized speech. The next day when I gave the speech to the group, it went well because I was much more comfortable being up there and delivering it. I don’t think I could have done it as successfully if I hadn’t worked with Karen first. With her help, the task at hand was no longer scary and suddenly became very do-able. Her coaching was invaluable to me, and I would recommend her services to anyone needing help with public speaking. Karen is a fantastic speaker and presenter. I have had the pleasure of watching her deliver emotional speeches, funny speeches and everything in between. She commits fully to any speech or presentation she gives and draws people in with her confident, vibrant personality. 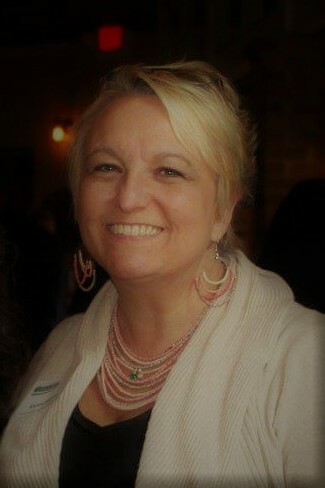 If you are looking for someone to speak to your organization or MC your event, Karen is your woman! If you are looking for a speech or presentation coach, Karen is also the person you should turn to. She has helped me improve the focus and delivery of several speeches. She offer’s great advice on how to elevate the speech you want to give, without completely changing it; something I really appreciate. At the end, the speech is still your own, just with a clearer opening, more solid body, better word choices, and stronger closing statement. If you’re looking to engage a great speech coach, look no further and contact Karen today! Karen Milliner helped me tremendously on the preparation and delivery of my speech for One Southern Indiana’s Pearls of Wisdom event this past September. She coached me on re-flowing the content of my speech to have a stronger impact and then showed me how to express more emotion throughout my speech by emphasizing key words, using special tone of voice, and meaningful gestures. Karen guided me through the entire process and helped me improve my speech skills. She definitely helped me to be more confident, which resulted in a great speech delivery. I received great feedback from the audience; which was a record attendance for that event. Karen’s positive and cheerful personality makes it very easy to work with her. She is very conscious about time-frames and costs too; which is very considerate and professional. What I loved the most about her is her constant and cheerful encouragement for me to keep practicing to become better, and her belief in me that I was going to be great. I have had the privilege of working with as well as learning from Karen Milliner. Her services as a speaking coach are superb. She is able to quickly pinpoint areas that need improvement and make one a more dynamic and entertaining public speaker. She is a hard worker and if you follow what she teaches, you will improve no matter how long you have been doing public speaking. I have witnessed some of her success stories where she has taken individuals who were petrified to speak in public and has given them the necessary tools to feel confident when they speak in public or at business meetings. Their presentations were very good to excellent. I have even utilized her services myself, even thought I have been in the public speaking arena for over 30 years. She can certainly teach an old dog new tricks. I can highly recommend her services from personal experience and will say without a doubt that I received more value from what she taught me than what I paid her. Karen Milliner is a networking professional in Louisville, Kentucky. She has years of experience in Marketing, and created Professional Networking Services, LLC after realizing that small business owners often lack the skills or resources to effectively network and market their companies.